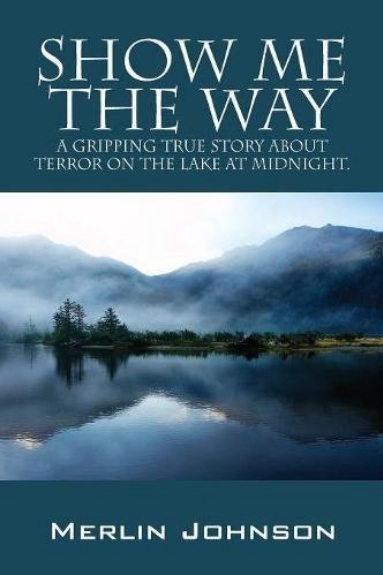 Clear Lake, California, is a popular place for boaters, and it is the setting of a terrifying boating accident retold by firsthand witness Merlin Johnson in his book, Show Me the Way: A Gripping True Story about Terror on the Lake at Midnight. A boating enthusiast, Johnson often went sailing. On a one-weekend holiday, Johnson and his partner, Jenny, along with their friends, Matt and Caitie, boarded his new cruiser and sailed around Clear Lake. “What a glorious day it was, with perfect warm weather with a slight breeze, and the sounds of birds singing in the tree tops. The air was filled with the sounds of music and people having fun everywhere, as we drove all around the lake in my new cruiser,” Johnson recalls. They decided to spend the night on board, near Rattle Snake Island, a secluded island located on the lake in North California. “Then suddenly without warning a deep feeling of foreboding came over!” says Johnson. He and his friends sailed back to the marina just as an explosion echoed across the lake. In Show Me the Way, Johnson gives a full retelling of that incident in Clear Lake, disclosing details he and his friend, Matt, discovered upon their investigation. The book was showcased at LitFire’s booth at the AJC Decatur Book Festival, from September 1 to 3, 2017. The festival, which brings in over eighty thousand visitors yearly, was held at the downtown Decatur Square. Merlin Johnson is a boating enthusiast. He has cruised the waters of the Pacific Ocean, San Diego, Catalina Island, Clear Lake in California, and more. His first book was inspired by one of his many boating trips.